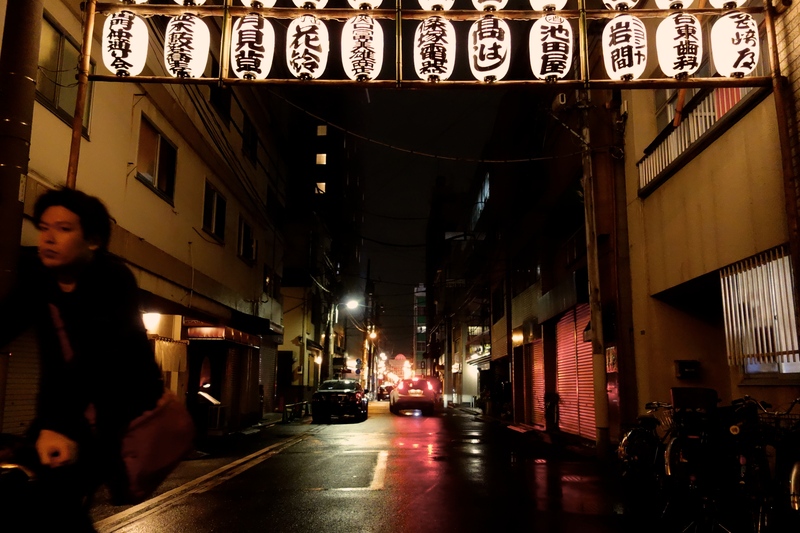 Distant lanterns in the spring night air stir an odd nostalgia. Odd, because since these lanterns have only just gone up, it means a festival is coming, it’s not behind you. So, be happy! A school-boy and -girl couple stroll under them. A cyclist passes. A week passes. You sort of forget about the lanterns. And then last night walking home you double-back at an open doorway after you notice a man sitting alone in his shop, painting lanterns. He looks up. He doesn’t seem to mind you peeking. Maybe he was expecting you. It’s past 11PM. Hello, you say to the youthful looking craftsman. Hello, he says. Can I take your picture. Of course, he says. Ask him what he’s writing. Looks like a complex character. Satsuma, he says. It’s a place name. 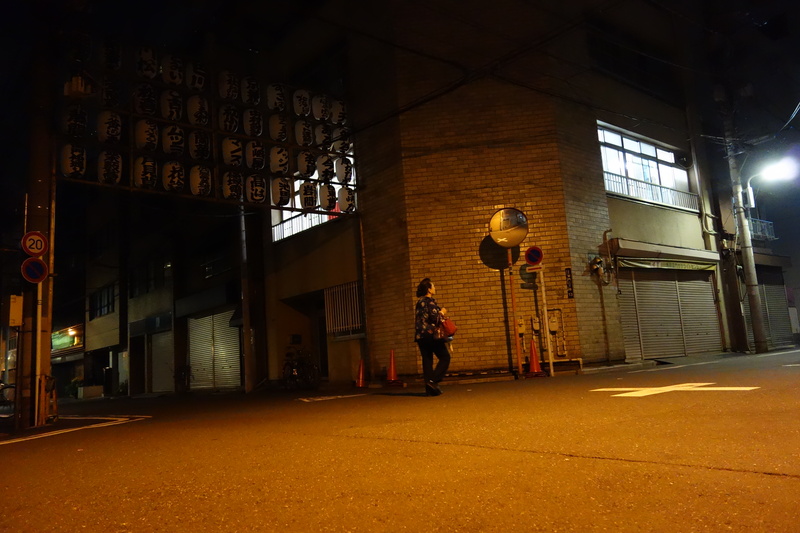 Yes, it’s in Kyushu, and famous for its shochu. And legendary rebels. You ask, Are you on a deadline. It’s late to be working. Well I am getting ready for a big festival, he says. 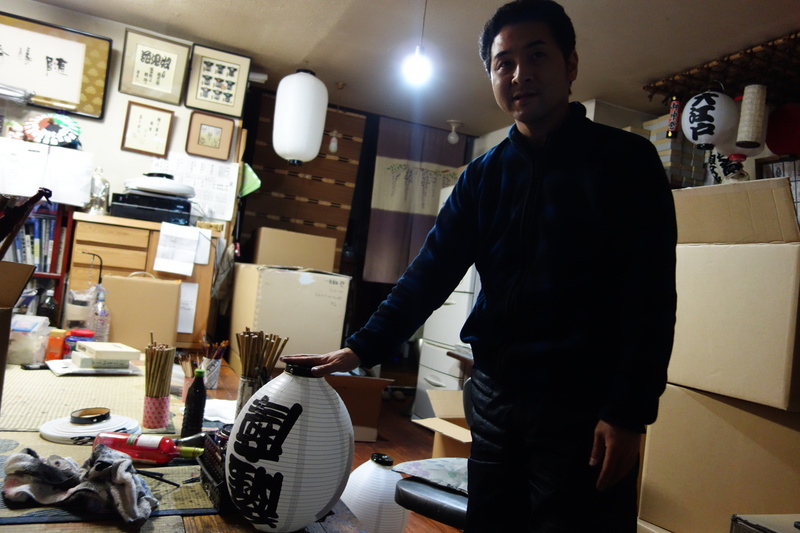 This Satsuma lantern is just a commission for an izakaya called Satsuma. You know Sanja Matsuri? he says, as you stand in the genkan entrance. Of course, it’s Asakusa’s biggest festival. He gestures around. I painted about 800 lanterns in these cardboard boxes. They go up at Asakusa Jinja, next to Sensoji Temple. 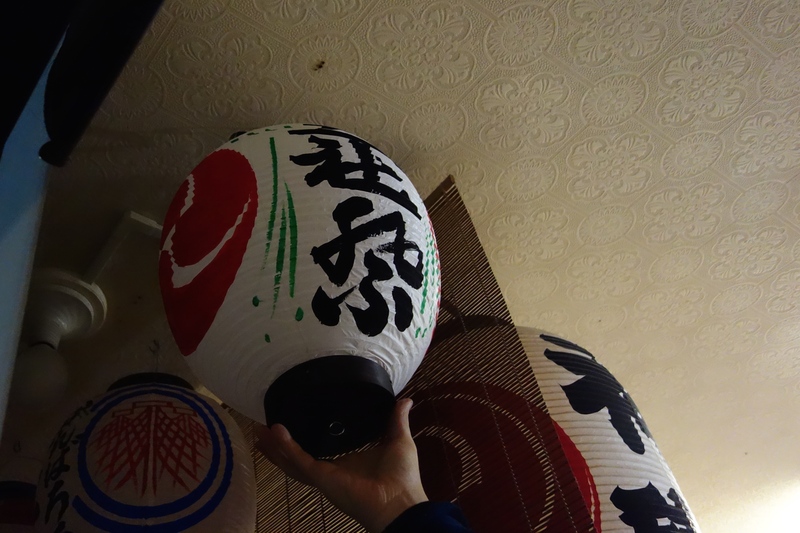 And these ones, he says, reaching to the ceiling for a lantern with calligraphy and coloured illustrations. They go outside every house and building that’s bought one. They say Sanja Matsuri. This store is Yamazaki-ya Chochin, he says. My name is Norio Yamada. I’ve been painting lanterns for 24 years, since I was 20, and I’m the eighth generation to be doing it. He seems at ease in his career. You say you’ve noticed a couple of other lantern painters around here, in fact there’s one just up the street near the sardine noodle shop. Oh yes that’s Onda, he says. And down the other side of Sensoji near Hanayashiki amusement park, there’s Hanatou. Together we probably do about 1,500 lanterns around Asakusa. Every year. In about 10 days we’ll put them all up. And you see that big scaffold outside on the corner, with rows of white paper lanterns, he says. They are all bought by local shops and businesses. I painted them all. 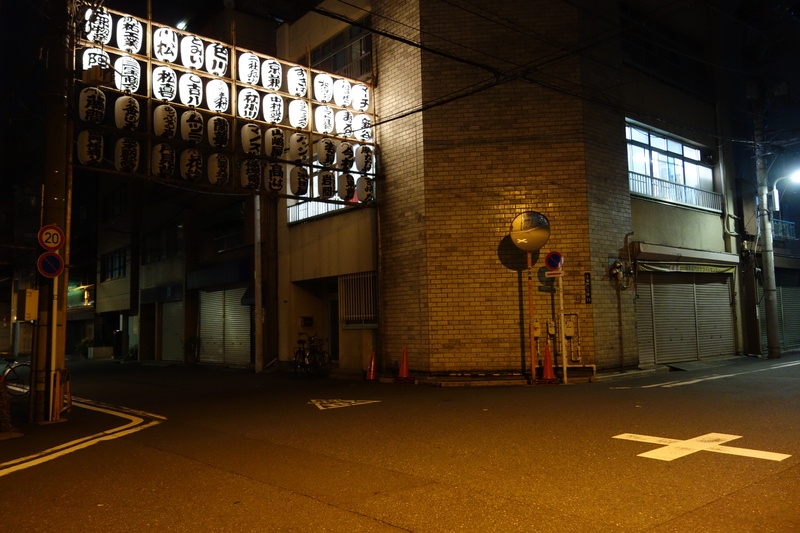 The Yamazaki-ya one is in the middle, though that row is switched off now. A couple of sleek cats dart through the room as you talk. You say goodbye and walk to the scaffold of half-lit lanterns. As you’re looking up, someone unseen switches them off.